Lysosomes are filled with more than 50 different hydrolytic enzymes, which are capable of digesting most cellular components. An estimated 3.5 million people in the United States have chronic hepatitis C (HCV), according to the Centers for Disease Control and Prevention. A worldwide study initiated to investigate the epidemiology and outcomes of bacterial infections in hospitalized patients with liver cirrhosis has reported a prevalence of multi-drug-resistant bacteria of 34% and significant regional differences in the risk of developing a multi-drug-resistant infection. 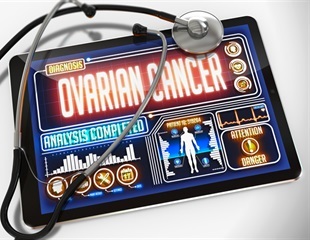 Researchers of the Molecular Signaling in Cancer group of the Oncobell program - proCURE Program have described a key cellular receptor in the processes of metastasis in ovarian cancer. Novartis announced today that the US Food and Drug Administration (FDA) approved the inclusion of Treatment-free Remission (TFR) data in the Tasigna® (nilotinib) US product label. A new study finds that patients with cancer, especially those aged 75 or older, are more likely to be admitted to the hospital – and less likely to be observed and released home – than patients without cancer. Pfizer Inc. today announced that the U.S. Food and Drug Administration approved MYLOTARG (gemtuzumab ozogamicin) for adults with newly diagnosed CD33-positive acute myeloid leukemia (AML), and adults and children 2 years and older with relapsed or refractory CD33-positive AML. Patients with advanced or inoperable Hepatocellular Carcinoma (HCC) who usually received one or two treatments with liver-directed SIR-Spheres Y-90 resin microspheres in the 459-patient French SARAH study had similar survival compared to patients who received standard twice-daily systemic treatment with sorafenib, but with less than half the number and significantly fewer severe treatment-related adverse effects and significantly better Quality of Life, according to data presented here at The International Liver Congress™ 2017. This inflammatory viral infection of the liver causes inflexible scar tissue to form. This in turn impedes blood flow through the organ, with resulting hypertension in the portal vein. Women who have ovarian cancer often develop a condition called ascites, which is a buildup of fluids in the abdomen. The most common treatment for ascites is puncturing the abdomen and manually draining the fluid, which is painful and risky and must be repeated every few weeks. Time, money, and tens of thousands of animals could be saved if researchers replace animal-derived antibodies with modern technologies, according to a review by the PETA International Science Consortium Ltd. published today in Biotechnology Advances, a peer-reviewed journal covering developments and trends in biotechnology principles and applications. United Therapeutics Corporation announced today that the European Commission (EC) has granted Marketing Authorisation for Unituxin (dinutuximab) for the treatment of high-risk neuroblastoma in patients aged 12 months to 17 years, who have previously received induction chemotherapy and achieved at least a partial response, followed by myeloablative therapy and autologous stem cell transplantation (ASCT).